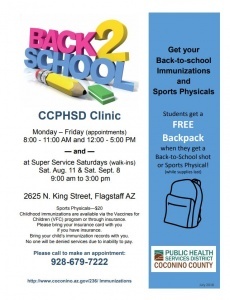 The Coconino County Public Health Services District (CCPHSD) Clinic is providing free backpacks to students that come in for back-to-school immunizations or sports physicals while supplies last. 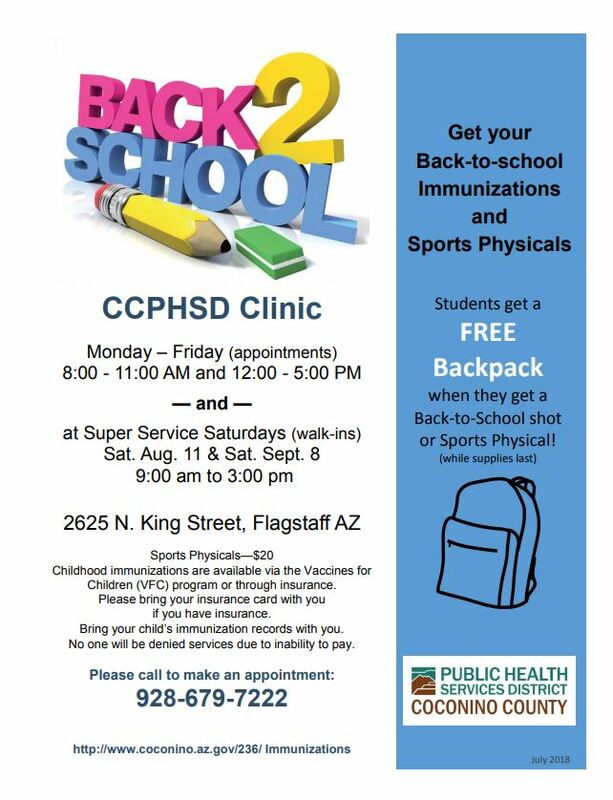 Appointments are available at the CCPHSD Clinic, 2625 N. King Street, Flagstaff Monday – Friday from 8 – 11 a.m. and noon – 5 p.m. Call 928-679-7222 to make an appointment. 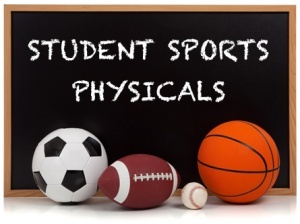 Immunizations and sports physicals are also available on a walk-in basis on Super Service Saturdays, Aug. 11 & Sept. 8 from 9 a.m. – 3 p.m. Visit www.coconino.az.gov/superservicesaturday for more information. The cost for a sports physical is $20. Childhood immunizations are available via the Vaccines for Children (VFC) program or through insurance. Individuals seeking vaccinations that have insurance should bring their insurance card and immunizations records. No one will be denied services due to an inability to pay. Childhood immunizations protect children from 16 serious diseases and are an important step toward ensuring long-term health. Immunizations also help protect the health of others in the community, including those who are unable to be vaccinated. When a high percentage of the population is protected through immunization, it is difficult for an infectious disease to spread because there are fewer susceptible people.